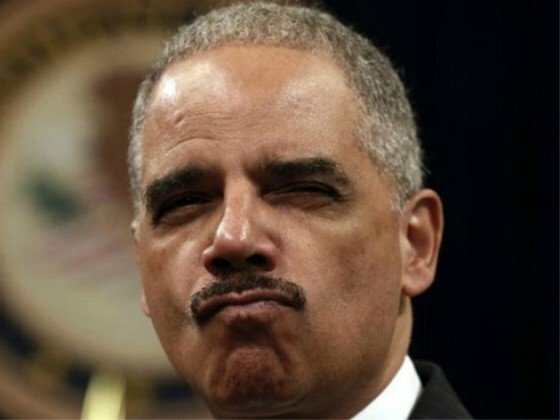 Let me be clear: Operation Fast and Furious was never about trying to interdict and take down drug cartels. It was thought to have been about providing some small bit of truth to the 90-percent lie told by Barack Obama, Hillary Clinton, and Eric Holder, in order to justify another attempt at a federal “assault weapon” ban. There were no mechanisms at all to track the thousands of firearms that straw purchasers and low-level smugglers—at least some of whom were federal government informants—bought in the United States and then smuggled back across the border to arm narco-terrorists. Smugglers from Arizona being monitored through the U.S. government’s Operation Fast and Furious helped supply firearms to a gun-trafficking ring led by officials in Columbus, N.M., according to court documents. Court documents also provide additional details on the extent of the Columbus conspirators’ involvement with Mexican drug traffickers and La Linea enforcers of the Carrillo Fuentes drug cartel. According to one of the court documents, Border Patrol agents looking for a stolen vehicle stopped Blas Gutierrez, a former Columbus Village trustee, and Miguel Carrillo, a gun straw purchaser, in Columbus on Jan. 14, 2010. The two men, who were later convicted in the federal case against 11 Columbus conspirators, were not arrested that day. The Border Patrol agents who stopped Gutierrez and Carrillo reported that they had found eight firearms inside the 2004 Nissan, including three Romarm Cugir pistols, two Ruger P345 pistols and three Fabrique National de Herstal pistols. An investigation later determined that the three Fabrique Nationale de Herstal pistols had been purchased Jan. 9, 2010 in Arizona by Jaime Avila, one of the arms-trafficking conspiracy ringleaders who was being monitored by the Bureau of Alcohol, Tobacco, Firearms and Explosives (ATF) as part of Operation Fast and Furious. Avila was one of the main suspects in the ATF’s centerpiece case for Fast and Furious. The court document stated that the three Romarm Cugir pistols found on Gutierrez and Carrillo that day “were bought (on) an unlisted date by another straw purchaser identified as Uriel Patino, also of Phoenix.” Patino was another ATF target in Operation Fast and Furious. Patino was a co-defendant with Jaime Avila. Don’t expect their to be much of an investigation into Operation Fast and Furious.